The “Remember When The Twins Were Good” Giveaway! | That's Twins Baseball. A Minnesota Twins Blog. The “Remember When The Twins Were Good” Giveaway! Remember when the Twins used to score runs in baseball games and not have more errors than hits? Remember when the Twins had a lineup that wasn’t full of minor leaguers because of injury? I must admit, it’s hard to remember that far back but believe it or not, the Twins were once good enough to win the World Series. Once upon a time, in a galaxy far, far away, in the year 1991 —- the Twins won arguably the best World Series in the history of baseball. 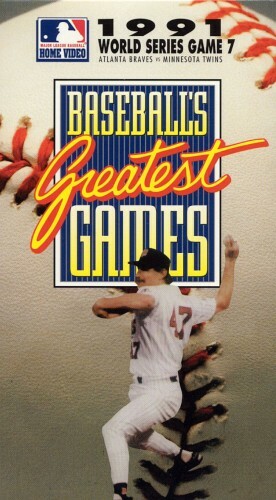 The thrilling series was to be decided in Game 7, at the Metrodome, where perhaps the best pitching performance in World Series history was thrown by Jack Morris. It’s been 20 years since then and with way the Twins are playing right now, it’s hard to even think about the World Series. Want to get away from the misery of the 2011 season? The fine folks at A+E Home Entertainment/MLB Productions and TTBB are here to help with TTBB’s “Remember When The Twins Were Good” Giveaway! You have a chance to win one of the three DVD’s below. 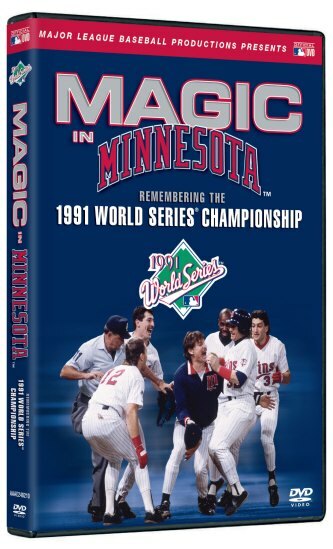 All you have to do is be sure to become a fan (if not already) of “That’s Twins Baseball” on Facebook (click to take you there) and comment “I want to win a ’91 World Series DVD” on the wall. I will select 3 winners randomly using a computer program I have written. Contest ends September 23rd. So what are you waiting for? 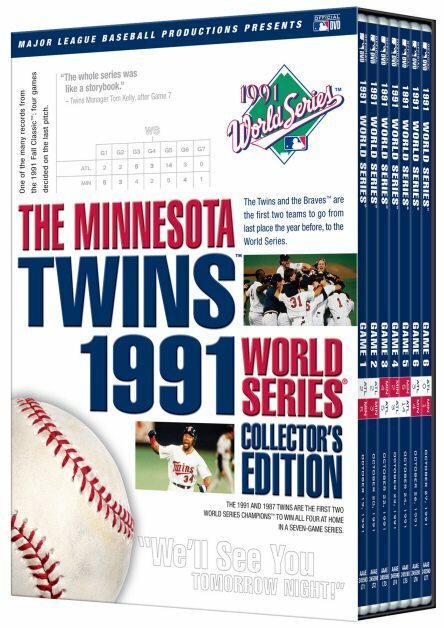 Enter to win one of these awesome ’91 World Series DVD’s and start reminiscing about when the Twins played the game “the right way”. See link for more details on above DVD from A+E Home Entertainment/MLB Productions. This looks so much better than that VHS I have. Must. Have. "And the Twins are gonna win the World Series"
2. Write on the aforementioned wall: “I want to win a ’91 World Series DVD”. Contest ends on September 23rd. Would like to thank A+E Home Entertainment/MLB Productions for the opportunity.